VISION is a fully integrated, fully customisable CRM platform and end to end Management Information System that enables you to run your business…. in real-time, on the move, in one place, on one screen. VISION is a powerful Management Information Platform bringing all your business ‘views’ and ‘controls’ under one roof. 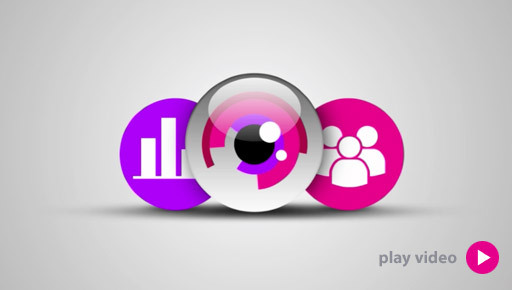 VISION’s Modules and Dashboards link together seamlessly so you can manage customer contacts, deal with suppliers, plan sales activity, send emails sync’d with Outlook, track email marketing campaigns, raise quotes, send invoices, run large scale projects and even manage quality across the whole organisation. VISION’s automated workflows and task management minimises time spent on non-value added tasks across all departments, ensuring every employee is focused on adding value, maximising their contribution to your business each and every day. VISION integrates with the rest of your business, pulling and posting data to your back office systems and front end websites. VISION allows you to look at ALL your business data in one place. VISION’s powerful reporting dashboards and data warehouse module allows you to easily set department targets, measure performance, generate management reports ‘on the fly’ and charts in real-time. VISION means no more chasing information from multiple sources, in time for those dreaded monthly reports. VISION will reduce costs through the automation of time-consuming processes such as data extraction and report generation. VISION can be windows or Web based, or even a hybrid of the two, giving you access to the vital data on the move. VISION is fully developed and supported in-house so there are no licence fees and no user fees. Its standard suite of modules can be customised according to your business needs or we can create bespoke modules built to automate your unique processes and deliver your outputs. Built on Microsoft Technology, VISION is familiar and easy to navigate. Suite of customisable modules, you only pay for what you need. Results and performance against KPIs generated on-the-fly. VISION will deliver your business data in real-time at the touch of a button. Syncs with Outlook, integrates with back end systems and front end website. Search, sort, manipulate and export data in your chosen format at the touch of a button. To experience how user-friendly and familiar VISION actually is, view the video walk-through. Built on Microsoft technology, VISION feels like you’ve been using it for ever, with intuitively file, search and export functionality. If you like what you see contact our sales team today to arrange a VISION demo. "PSP did a great job for Eminox in creating a world class front end system for monitoring and managing the sales performance, but more importantly, the order book and business development pipeline. The data is extracted from three disparate systems to provide the complete picture on a single user-friendly "dashboard". The project was well managed, on time and within budget; with an excellent return on investment".
" found that the project was very well managed from start to finish and the end result was able to do exactly what we required it to do. Along the way I felt that our input was taken and incorporated quickly into the development. All in all I was very pleased." "We approached PSP with our requirement for a bespoke CRM/Tracking software. Throughout the design and installation process, they provided a professional service and regularly kept us up to date with progress. Joe, Richard, Mark, James and Emma were all very helpful and a pleasure to deal with. I’m sure we will expand the VISION software in the near future and look forward to working with PSP again." See how VISION module conform to a familiar and usable format that we all know and love. Simply click on the screenshots below. Post project support is the most important part of any VISION project as it’s the deployment and roll out that will drive user adoption and therefore deliver return on investment. VISION was installed by a technical representative from PSP IT Ltd.
Support hours for VISION are provided from 9.00am – 5.00pm Monday to Friday.